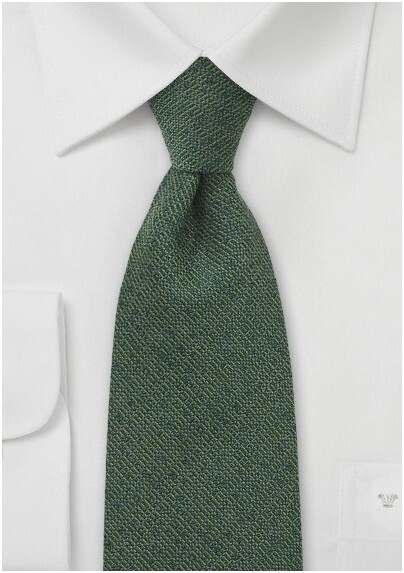 This handsome forest green necktie is handwoven from a blend of wool and raw silk threads in dark green, olive, and gray. 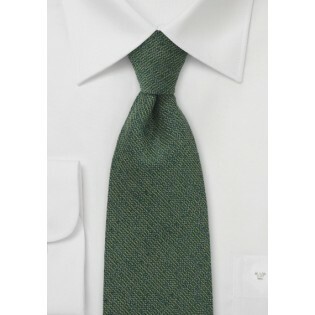 Its complex barleycorn tweed pattern is apt at adding dapper sophistication to business wardrobes. Designed by Parsley. Also available in 6 other colors.